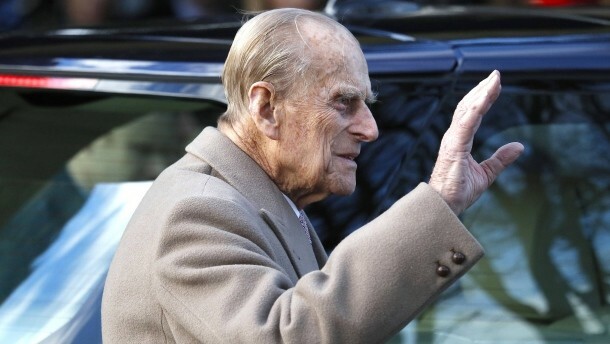 After his traffic accident in the East of England, Prince Philip has apologised to a woman who had broken the wrist. The “Sunday Mirror” published on Sunday a copy of a letter that the 97-Year-old wrote to Emma Fairweather. “I want you to know how much I’m sorry for my involvement in the accident”, – stated in it. “I can only assume that I did not see the car, and I am very contrite in the face of the consequences,” continued the Prince in the Letter. He’s “deeply sorry” that Fairweather had suffered the bone fracture. Prince Philip was pushed in front of one and a half weeks in the vicinity of the Royal country seat of Sandringham Palace with his all-terrain vehicle with a Kia, as he pulled out of a side road into a main road. His Land Rover crashed on the driver’s side, the windshield was broken. The Duke of Edinburgh, could be rescued by a hastily summoned witnesses unharmed out of the car. The 28-year-old Kia driver suffered cut injuries to her nine-month-old Baby remained unharmed. Fairweather was sitting as a passenger in the car. She had complained a week ago against the “Sunday Mirror” about the fact that Prince Philip had not apologised after the accident initially. The accident was triggered in the UK, a debate about the fitness to Drive of older people. In the UK, the licence runs from the age of 70 years, but can be with a simple self-assessment test renewed. According to official figures, more than 100,000 seniors over 90 years in the UK still have a driving licence.